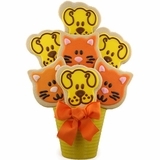 Paw Print Biscuits All Natural Chicken 2 oz. 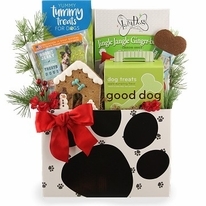 This fun holiday doggie gift is perfect for ANY dog! 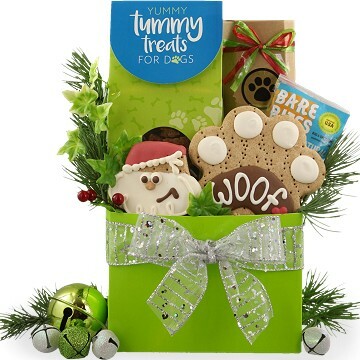 Besides burying bones in the corner sofa or back yard, doggies love biscuits and our fun Frosty Paws Dog Gift is filled with great tasting gourmet doggy biscuits! 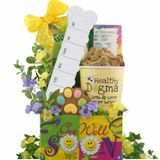 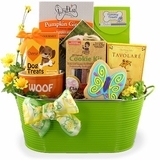 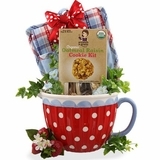 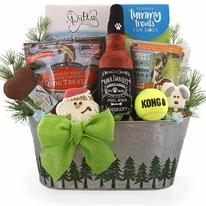 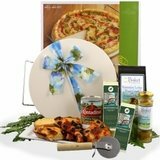 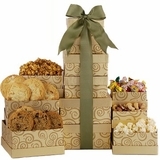 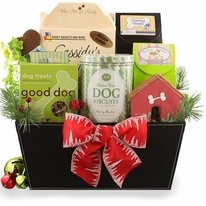 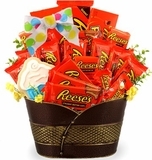 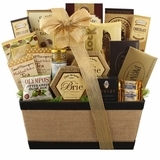 With an assortment of sizes and flavors this holiday dog gift is perfect for all dogs this Christmas season. 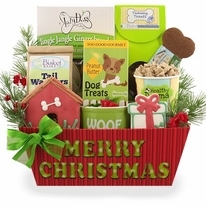 Be an elf and send all the canines on your holiday shopping list their very own Frosty Paws Dog Gift!